If you want to be like every other content creating travel influencer who comes to NYC and gets a picture in front of the Flatiron building and Brooklyn Bridge, then power to you! I want those shots too, don’t get me wrong! 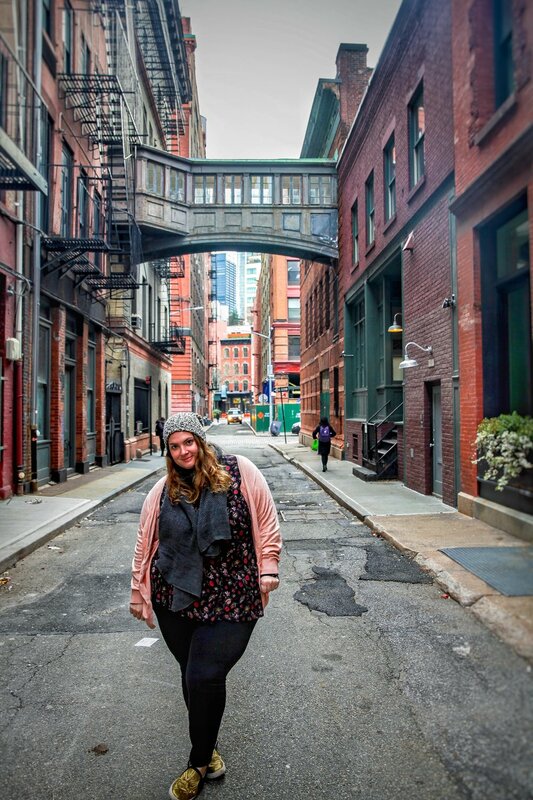 But, having lived in NYC and in the greater New York area for most of my life, I have found a couple of “hidden gems” tucked into alleyways and on lesser known streets that I hope you’ll fall in love with too and will make for the perfect instagrammable NYC moment. Here’s my round up of all the best under-the-radar, best kept secret, hidden NYC instagram locations. **DISCLAIMER** nothing in NYC is truly a secret or stays hidden for very long, so expect other insiders taking pics and enjoying these awesome spots. But still, if you go to these places, you will be far from basic, this I can promise!! Tucked in between Chrystie Street and Bowery St, right off of Rivington Street on the lower east side of Manhattan is Freeman Alley. Home to a very delicious, cozy, and adorable restaurant Freemans. 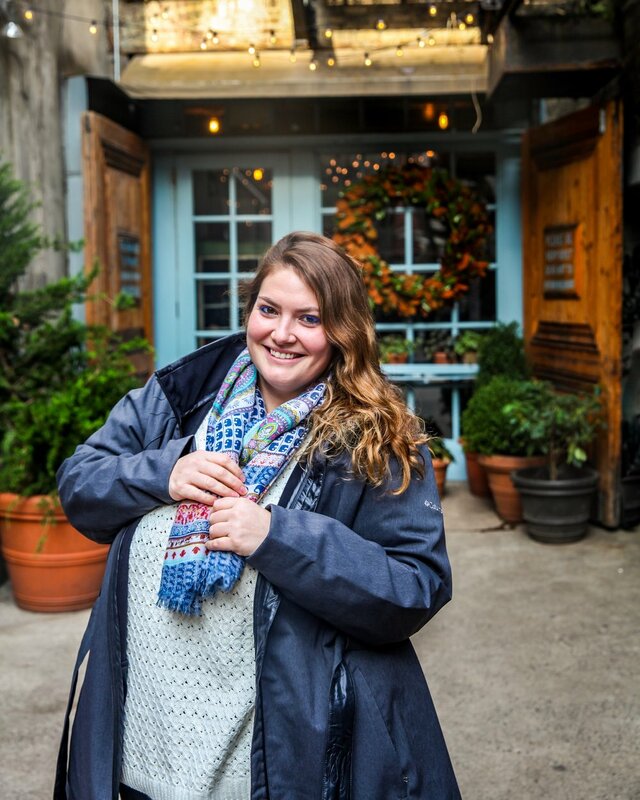 This place is the perfect spot to take an out-of-towner to give them a memorable and authentic New York experience. It’s also a great date spot or place to go with the pals for brunch. Reservations are usually a must as this place can fill up despite being literally off the beaten path, hidden away in an alleyway. Most lists of top NYC instagram locations include the adorably curved Doyers Street in Chinatown. Well this is my plug for the equally fun curvey spot in the West Village, Gay Street, which connects Waverly Place and Christopher Street. Visit this cute street for a pic and you’ll be surrounded by delicious coffee, pastries, shopping, happening restaurants and night life. The West Village is a place I once called home and continues to be my favorite neighborhood in all of NYC. Since you’re in the West Village anyways, there’s one more “secret enclave” that’s a must see for instagram. Tucked away on the charming Grove Street (home of “the Friends apartment”) is a private row of townhouses that comprise Grove Court. These tiny ivy-covered homes are some of the most coveted real estate in the West Village and the court itself is in fact private. I enjoy strolling by, peeking in for a photograph, and imagining the lives of the tradesmen, laborers, and eventually artists who likely filled these home. This spot caught my eye one day while strolling around the city. When I went to instagram to explore it further and see if people were as intrigued by this location as I was, I realized that it doesn’t have a big instagram presence at all. Immediately, I was excited to add it to this list of “secret” instagram locations. Then about a week later, browsing apartments for fun on StreetEasy, I noticed that in fact this skybridge is part of a massive Tribeca loft for sale with an equally massive price tag of $35,000,000 (was listed for $50 million in 2016?!?). Can you imagine living in a fabulous loft with a sky bridge and parts of your apartment being on two different sides of the street! I just absolutely fell in love and knew I needed to shoot there! 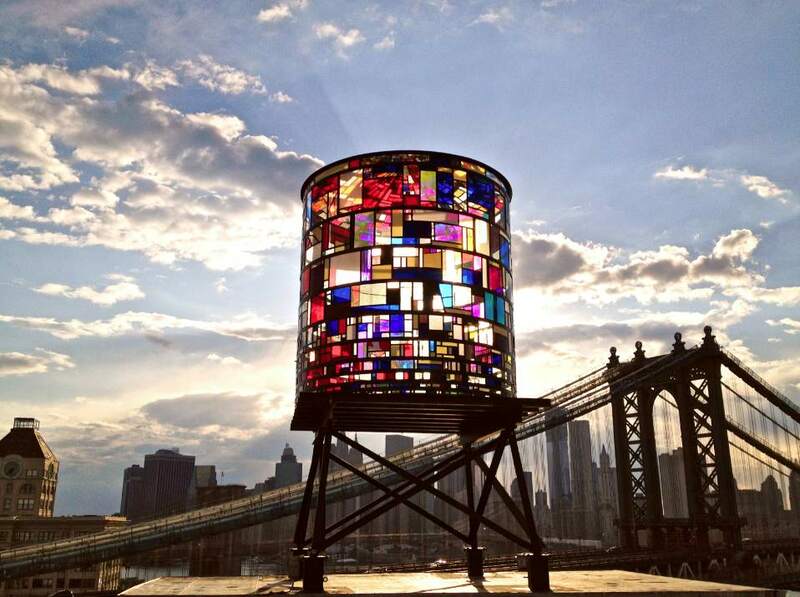 I have driven by this “not-so-hidden” stained glass water tower dozens of times and each time I’m blown away by how it’s colorful beauty stands out in the city of lights. If you’re planning a trip to NYC this is worth a visit or photo opportunity. You can find it situated on the rooftop of 20 Jay Street and it’s viewable from some other desirable destinations such as the parks and streets of Dumbo, the Brooklyn and Manhattan Bridges, FDR Drive and Lower Manhattan. For the best views, try Brooklyn Bridge Park at Washington Street and the Manhattan Bridge bike path.